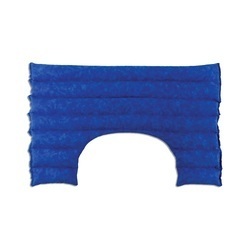 Shoulders Physiotherapist Shoulder Pad, Size: 18.0" X 11.0" X 1.25"
Size: 18.0" x 11.0" x 1.25"
Non woven textile material produced using the needle punch technology and intended for use in the production of shoulder pads in the ready-to-wear industry. The product is known for its excellent crease resistance and ability to quickly return to its original condition after the pressure is removed. It has excellent resistance to dry cleaning and hot washing. We are one of the foremost firms of Shoulder Pads. To sustain the industry standards, experts also check this product on diverse industry standards. Detail: ARRI is offering our renowned Pro Accessories line to support the cameras. Working closely with Canon over the past couple of months, ARRI has developed a new shoulder Pad that allows existing accessories to outfit this new camera. Our high quality matte boxes, follow focus units and hand grips will enhance the functionality of variety of setups. The Shoulder padsÂ are fabric-covered padding used in men's and women's clothing as a fashion accessory. The shoulder pads are mainly used in suit coats, formal jackets, blazers and overcoats. Depending on the cut of the sleeve the shoulder pads are positioned on the garment, below the outer layer of the fabri. 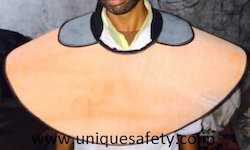 Avail form us Shoulder Pads that are used in construction work for concrete mining. Our professionals make sure that the pads are made of quality stainless steel and iron that give them the required strength and durability. Owing to the quality, these are demanded in various companies in the automotive and defense sector. We are a unique entity in the industry, actively committed towards manufacturing and supplying an optimum quality range of Shoulder Pad. We are presenting an excellent quality assortment of Shoulder Pad. Outfitted with modern machines and tools, we are best in making world class array of Hockey Shoulder Pad that is easy to use. They are use for support.